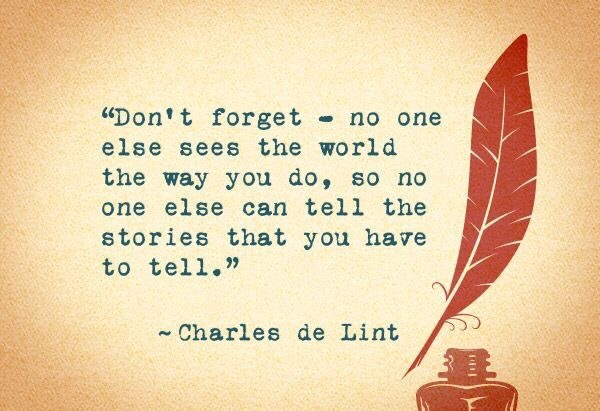 Our lives are a collection of stories. Truths about who we are, what we believe, what we came from, how we struggle and how we are strong. When we can let go of what people think, and own our story, we gain access to our worthiness–the feeling that we are enough just as we are, and that we are worthy of love and belonging. This time of year, we are regaled with every type of story and legend that one could imagine. From childhood, we are taught the legend of Santa Claus. We are told of this large, big-hearted man dressed in a red suit who watches every move we make. As witches and pagans, we tell and re-tell the stories of the Goddess and the Holly King and the return of the light when the solstice comes upon us. As I walked through the stores at the mall this weekend, I saw stacks and stacks of storybooks. There was everything from “Rudolph the Red-nosed Reindeer” to “Grimm’s Fairy Tales.” As I walked haggardly through the aisles, I started people watching. I wondered what the stories were behind the faces of the people passing me by. A dear friend of mine from back home came to mind. She was a strong, determined woman. You see, she had survived a concentration camp in Germany. She was a singer in her younger days and when the Nazi regime took power, her mother made the daughters bleach their hair platinum so that they looked ‘more German.’ She traveled the German countryside by bicycle to avoid the SS soldiers. One day, she had taken a route she had taken many times over. She was stopped by a Nazi soldier. 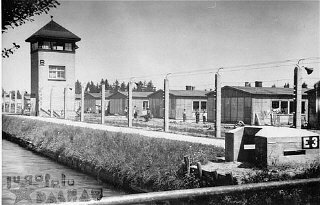 Her Jewish features would betray her to this soldier and she was sent to Dachau concentration camp. Because of her musical background, she was used as entertainment for the soldiers. At night, she would sing to soothe the nerves of the children imprisoned. She would tell stories of how women who were able to hold on to one piece of treasured jewelry (including her own mother’s diamond) would swallow the jewelry first thing in the morning, then with the evening bowel movement, clean the jewelry and hold onto it for dear life as they slept. This beautiful woman was and is a survivor. She will tell you that is by faith and determination that she was spared. It is the same determination that you see in every part of her life today. It encompasses every fiber of her being. As I walked through the woods this morning in the wee hours, I thought of my own story. Mine is a story entwined with many things that children should never be expected to endure, but it is also woven together with magick. When I think back, even in the days of the sexual abuse, I can see where magick came to the rescue. Even in those days, I was being taught by the Lord and Lady how to bring vision and intent to the front of my mind. 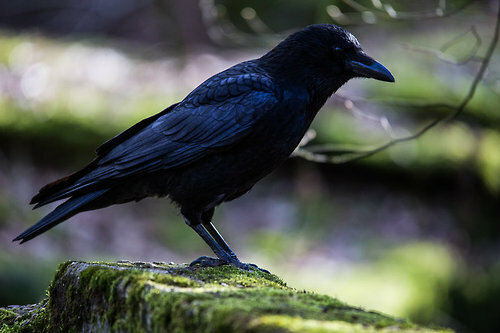 I was reminded that even in the midst of the deepest depressions, I was being guided by Crow magick. I was being taught not to dwell inside myself for too long, but in those times of depression, to reach outside of myself and toward others. It was in the times of my darkest depressions that I was able to be the biggest help and guidance to others. I watched Mama Crow this morning hopping from tree to tree. I watched as Friz sought patches of non-existent sunshine as a soft drizzle fell on us. I lifted my face into the light mist and thought about the fact that the darkness was receding bit by bit and that the sun was returning. I visualized the goddess rising from her sleep dressed all in white, silver and pale blue. She stands before the Horned God and offers her hand to him. They begin a slow waltz across the wooded floor carpeted with leaves and debris. As the light becomes stronger, the dance becomes faster…raw and wild. At the end of the dance, the maiden becomes heavy with child…ready for the next turn of the wheel. Her story…always continuing…a circle…never truly ending. My story continues…with every step I take…every breath. I am the only one who can decide that the pages stay blank. My book of shadows is filled with little reminders of who I am: feathers and spells, things I have found on my journeys, pictures that I love…things that all tell my story. 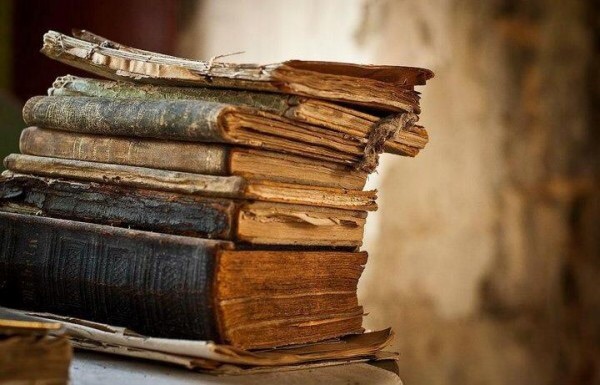 To anyone else who ever found it….it would seem a book filled with useless trash…but it is me. It shows that I, just like my dear friend who survived the concentration camp, I am determined….I am a survivor. Don’t we all have to escape from our own prisons daily? Don’t we all have to swallow those things we find valuable sometimes for the sake of others? Don’t we have to dig through crap on a daily basis? 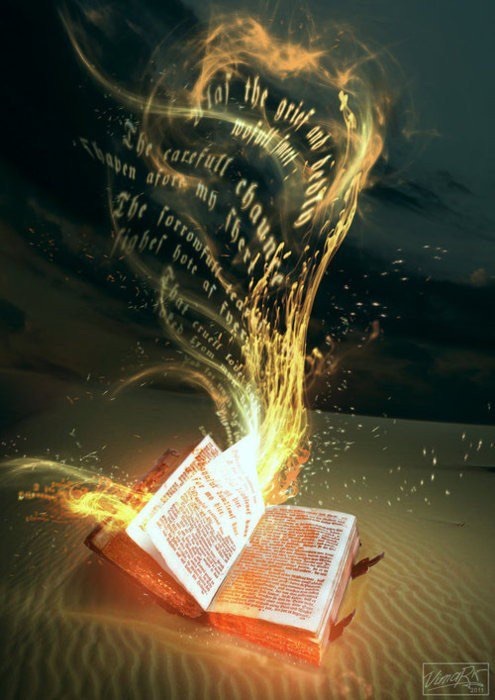 My story swirls with magick. 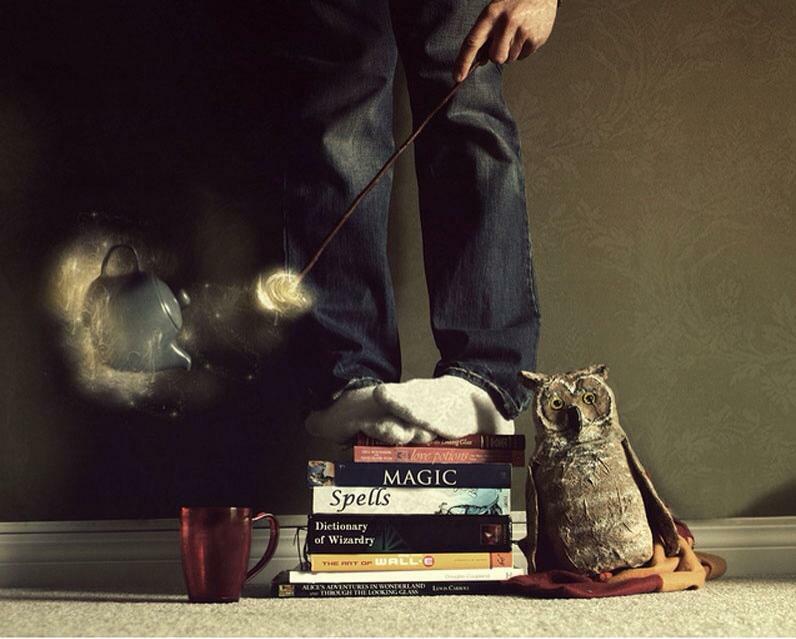 It holds adventure and excitement….love, power and magickal creatures untold. An old friend died this past week. I got to know her when I was working on a Lakota reservation years ago. She would tell me stories of stories that her mother had told her of life after the white man invaded the Lakota way of life. She would talk of the strength of her people…she would talk of the power of the Great Spirit…and she always talked of where she was going tempered by the experiences of where she had been. Her eyes sparkled…her spirit danced. Oh how I loved the heart of this warrior…stronger than any male counterpart. I can see her dancing across the summerlands…this warrior doesn’t carry a shield. 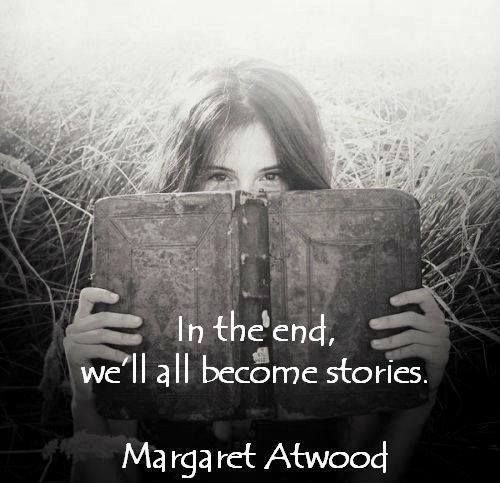 She carries with her the story that she created and engaging anyone willing to listen. Friday was my birthday. I made possibly the worst decision of my life. I sat down at 11pm and watched a movie by myself. The movie? “Marley and Me.” I heaved and I sobbed for the last hour of the movie. I had to get a hand towel from the closet, it was so bad. It pulled every emotion I felt for the past twenty years up and out. Now this little sob fest had nothing to do with the fact that I am now two years from fifty. It had nothing to do with the fact that life in general is a whirlwind. It was because this movie takes you from birth to old age and finally the death of a beloved friend. I have always believed deeply in the quote at the top of the page. 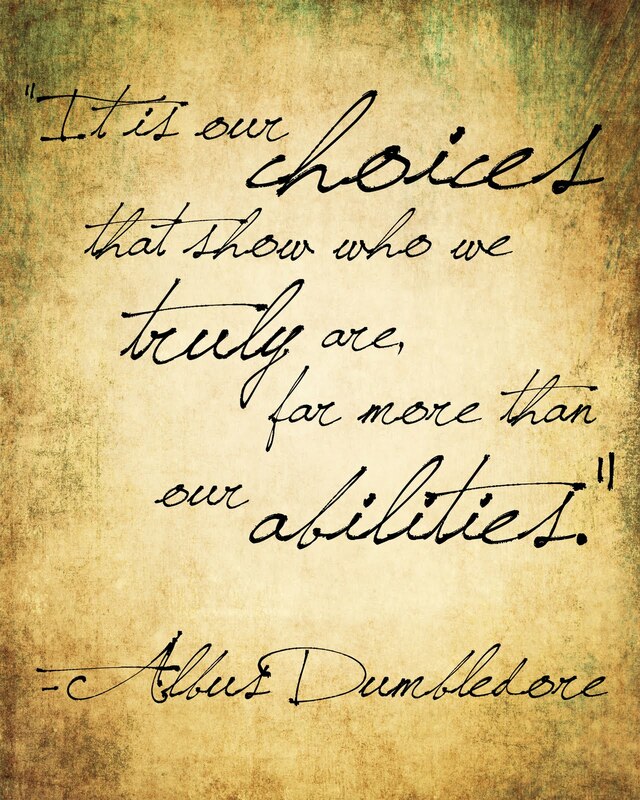 It has always been my mantra that we are the end result of all the choices that we make in our lives. Our hearts, spirits, bodies are the summation of every good, bad, or so-so choice we have ever made. If you think back far enough, you can take a choice that you have made and correlate it with a later event in your life. I was in Florida most all of last week. Many things were presented to me in that leg of my journey in life. I was able to visit with a friend…able to walk by the water with him….feeling that balmy breeze against my face. We were looking for makeshift ingredients for a spell. I look back now and see that it wasn’t looking for ingredients as much as it was about listening to the sounds around us. I think back on that night and I see more of who I am becoming. It is becoming more obvious that the Morrigan is the goddess with whom I work. My words, my actions are becoming more blunt…less willing to allow things that I think are harmful to come into the picture at all. I know that age is a part of that too. Too many times I have wanted to pull someone aside this week and ‘enlighten’ them…simply because I have been there before, I want to save them the pain, I want them to be able to see with the eyes of the crone…one who has felt that pain and moved past it. But I also know that each one has to walk out their own path, their own journey. I can’t do that for them. We each have to feel the pain and elation that comes with life. The only thing that I can do is pray for clarity. One thing that I have mulled over in my mind all weekend is the fact that we, as witches, are often quick on the draw with the spellbook. If you think about it, though, every word that leaves your mouth is a spell of sorts. Whenever you sit and fume over what the neighbors do…you form intention and out spews exactly what you wish would happen to them. Each argument that you have with your spouse or partner has the power to build up or rip to shreds. The words you say speak your own truth daily. Think of your own self speak. What do you speak into your own life? 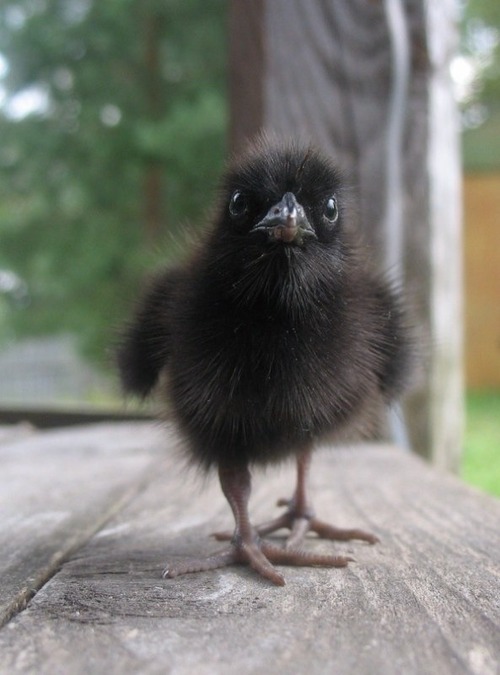 Last night, I dreamed that I found a baby raven. There was no mother or father anywhere to be found. As I sat talking out loud to this little black ball of fluff, it ambled out of the nest and plopped itself right down into the middle of my hands. I picked it up and carried it home with me. I wasn’t sure what to feed it, how to feed it, or how to nurture it. Throughout the dream, with no help from me, the raven seemed to grow and mature. It was a time span of only a month, but this raven had grown into a throaty, raspy voiced adult that only attached itself to me. Wherever I went, it went with me….riding contentedly on my arm. I feel that as I move more into the Samhain of my own life, when not everything is about ‘love and light,’ that I have to become more confident in the magick that is brewing inside me. If I were to feel little bubbles of light all the time…honestly, knowing myself, I would just have to chalk it up to gas. The one thing that I strive for more than anything with the rising number of years that come with each birthday…is transparency. I always want to show forth exactly who I am. Some days that can be a good thing…some days, not so much. I always want people to look in my eyes and see that no matter what, I will never compromise who I am. While I was away last week, we were thrown a party. There was food and drinking and dancing. I sat at my table and watched as the men and women danced. I watched as heads were lain on shoulders and people got lost in the moment. It was during my little daydream that a male friend of mine sat down at my table. “I feel bad for you. 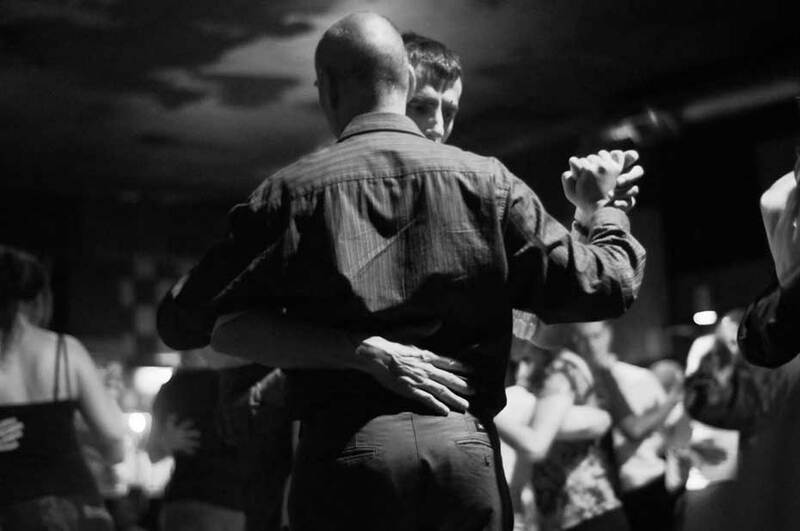 You don’t have anyone to dance with.” With those words, this tall, rugged looking straight man takes my hand and leads me to the dance floor. “You’ve got me for the rest of the evening.” With that, I put my head on his shoulder and listened to him hum. He was no less straight and I was no less gay. He was completely comfortable with who he is and living his life on his terms….and forever, he will be my hero. 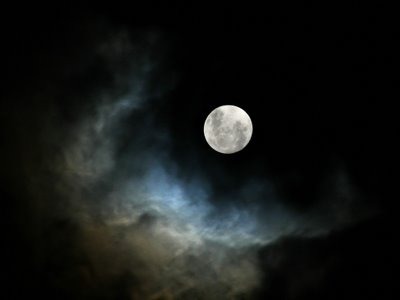 So When the Moon Tells You Something… Believe It. Darkness. That’s the first thing I remember. It was dark, it was cold, and I was scared. But then… then I saw the Moon. It was so big, and it was so bright. It seemed to, chase the darkness away. And when it did… I wasn’t scared anymore. Why is it that all secrets seem to be cloaked in darkness. We feel that secrets protect us when all they do is hurt us in the long run. This has been a week of ‘Can you keep a secret’s.’ The truth is, no, I can’t. My face gives me away every time. If I even try to tell the smallest white lie, I go all red in the face…I giggle like a twelve year old trying to tell a dirty joke, and I try to escape. I remember when I was a small child, my father had planned a surprise for my mom’s birthday. Everyone around her was sworn to secrecy. My mom comes into the room one afternoon as we were making plans and asked what we were doing. Yes….you guessed it…I sang like a canary. When I joined the ministry, I was scared to death. I had heard all of these pastors around talk about ‘pastor/parishioner confidentiality.’ It horrified me. I did find, however, that it was totally different than telling a lie or keeping a secret. It was just a matter of not acknowledging the information at all. Even now, at work, if someone comes up and says, “So you’re gay? So you’re a witch?” I just smile and answer with yes…it just saves me the stress of trying to hide it. I determined very early in my life that I would never give anyone the stress of holding onto my secrets. I never wanted anyone else to feel that feeling that I would get in the pit of my stomach when someone asked me for information that I had promised to guard. It was in those early years that I began telling my secrets to the moon. I could whisper them or yell them, she never ridiculed me and she never told those secrets to anyone. Lately, I have come to trust others with my secrets. Now I share those secrets with Wolf and Crow. 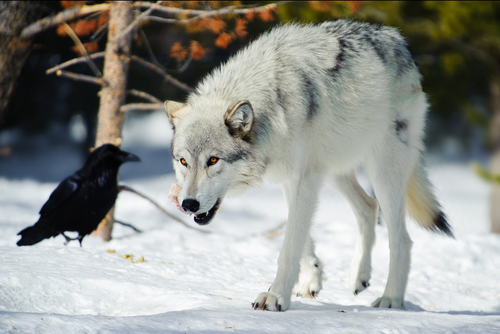 Wolf guards them ferociously and Crow takes them high into the sky on her wings and drops them among the clouds. I am never threatened with them coming back at me at the wrong time. I remember the hardest secret I ever had to keep. It came about when I began my first long-term relationship. I had been dating a wonderful man for about four months and like was turning into love. He was tall, dark, and handsome…an ex-marine. When he held me in his strong arms, the world stood still. He invited me to his apartment for dinner one evening and after we ate, he sat me down on his sofa and said softly, “I need to talk to you about something.” My heart broke many times in that moment. I imagined everything from him breaking up with me to him telling me he was moving out of state or re-enlisting. He grabbed my hand and told me, “Now you can’t tell anyone. I am trusting you with my life. I am HIV positive.” You have to remember that this was in the days before much was known about the disease and everyone was afraid. I was just as afraid, but my love for him was stronger than any disease or any fear. I stayed at his place that night. 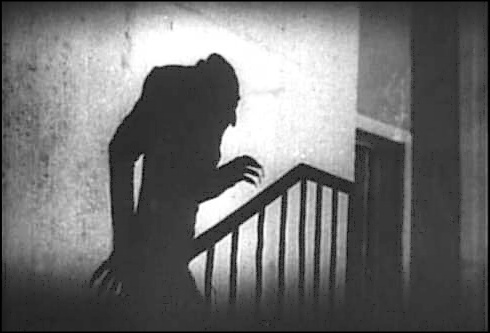 After he went to sleep, I opened the french doors to his balcony and walked out into the moonlight. 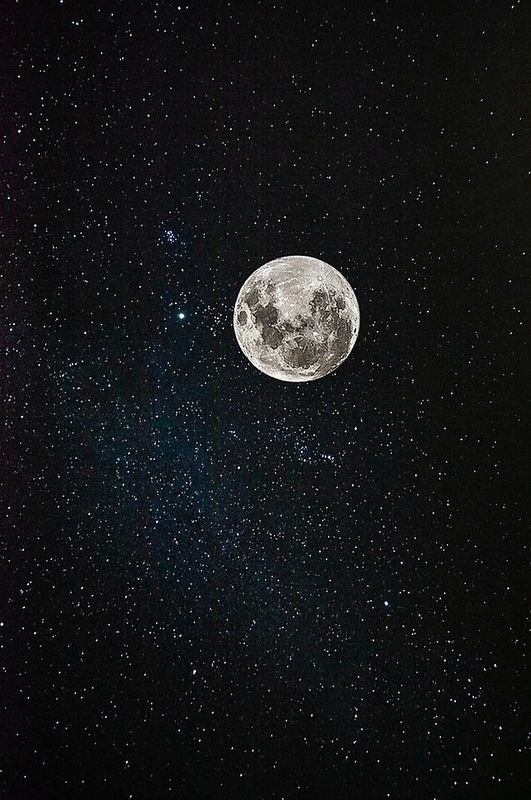 I called to the moon and I sighed deeply as she appeared before me. I whispered my troubles and secrets into her ear. The moon always actively listened and sent her energy to strengthen and to hold me up. She was full that night. I think it is funny…the things that follow us through our lives. As much as I leaned on the moon for strength in those years…she has always been there. Nowadays, she has learned to text…”You OK?” I text back that I am ok. Somehow, she always knows when I am not being completely honest. I have heard some of our friends simply call her ‘the Moon Lady.’ To me, she will always be ‘Maluna’ and to me that will always mean ‘my moon.’ It seems that she has always been there…I have known her in my heart and spirit for as long as I have known the moon herself. 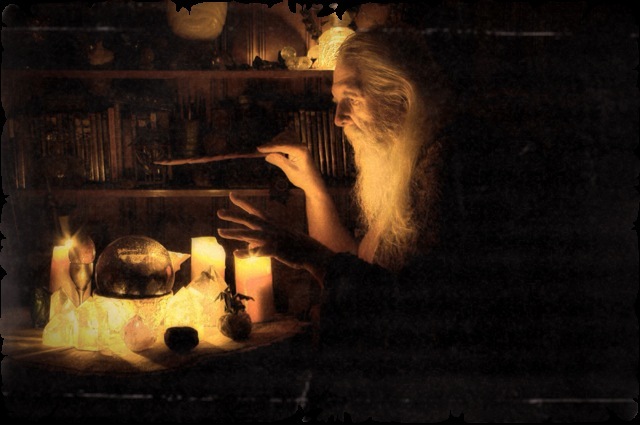 When we talk, it isn’t about secrets…it is about where our energies and magick can better be spent. Thursday night, I got home late…honestly just in time for the full moon. I gathered everything with me, except Friz. He fought valiantly to stay up until I got home, but sleep won that battle. 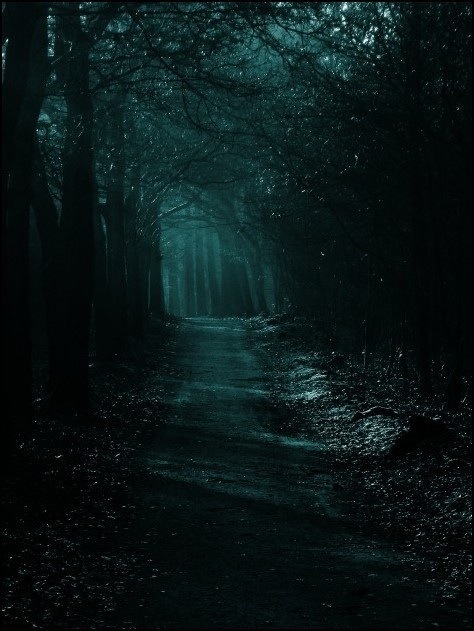 I walked to the woods in silence…almost a feeling of reverence under the moonlight. I could hear her calling. We needed to talk. As I settled into the warmth of the night with my cauldron and candles burning, I could feel her energy soaking into me. She has always been faithful to me…even when I felt like I was alone. I have honestly never been alone. The moon is who called Wolf and Crow to me. It was under that moon that Friz was dedicated. It was under that same moon that I made promises to my first partner and also that moon where I made promises to my current partner. She is an old friend…she is there through every season of the year and through every season of my life. She is the one who first called me the Weathered Wiseman, and she will be the last one to call me that name. It is by her that I rest and by her sleep that I awaken. It is the moon who promised that magick would always encompass and encircle me. I share that magick with you. So when the Moon tells you something… believe it. I’m lost and am afraid. My confusion now will fade. Your lessons I will heed. Revive in me your power. Create in my heart a grand rebirth. Come to me this hour. Wolf, teach me where to turn. Crow, show me how to fly. Lord and Lady show your peace to me. Joy, now over take me, no reason now to cry. It is no secret that I love the woods. 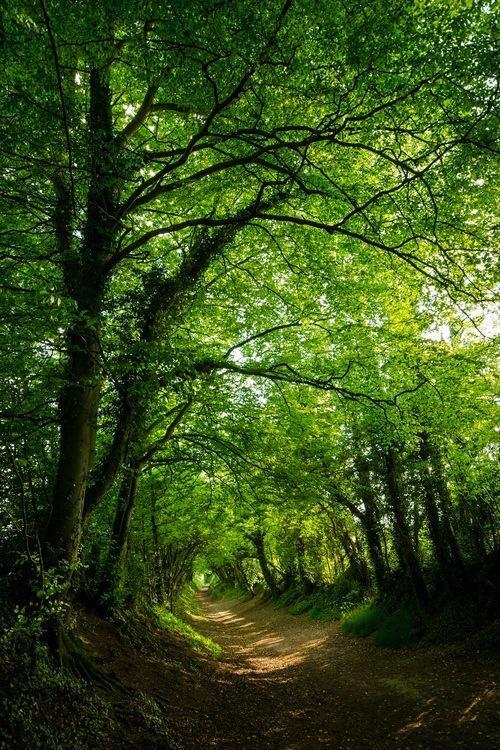 I love the smell, the feeling of the trees wrapping around you like a wonderful hug by the earth mother. I love hearing the rustle of the leaves and sticks and dirt under my feet. I love the sense of security and peace that I find in the woods. This morning, really early, Friz and I made our way to those woods that have become like a second home to us. We walked into the opening that has become like the arms of an old friend. For some reason, Friz seemed particularly energetic this morning. He bounced and pranced through the leaves and debris on the floor of the woods. I laughed and watched him….right past our normal spot. I laughed and danced along side of him as we went farther into the woods. I didn’t even notice the change in the path or the trees or the fact that the woods seemed more dense. When I finally looked around, I realized one thing. I had no idea where we were. We were completely lost in the woods that had become more than a friend to me. Friz put his nose to the ground…smells of things that weren’t familiar to him either. We were lost. Just to be honest, I am not the bravest person in the world…and Friz is kind of a big chicken himself. Needless to say, every little noise spooked us. We would hear sticks crack or rustling in the canape of leaves above us and we would go into defensive mode. Friz would make half-hearted bark sounds and I would tense up. Something seemed to whir through my head….from deepest crevices of my brain. When I was a kid, my grandma would tell me that if I ever got lost, to just sit down where I was and someone or something would find me or the spirits of nature would tell me which direction to move in. So I sat down. Friz was glued to my side. I unpacked my backpack. 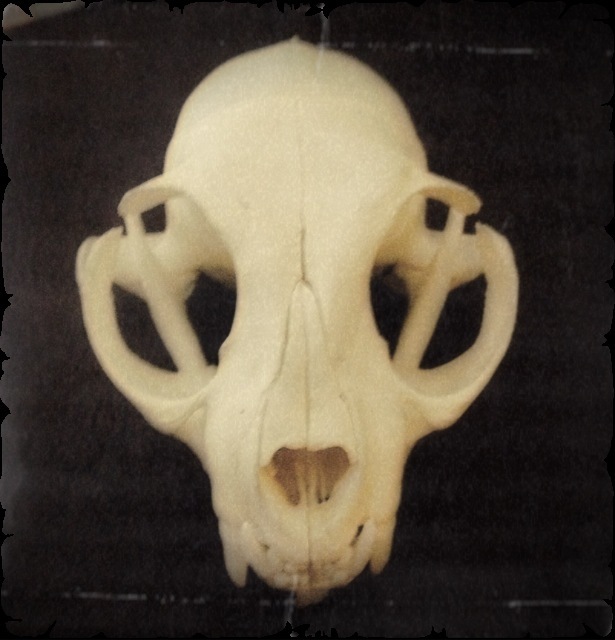 I pulled out my candles, my wolf skull and bones, my crow skull, my Palo Santo wood (a type of incense I got at a Pagan Market…smells a lot like sage with less smoke), and my newest addition, a cat’s skull. I had brought the cat’s skull into the woods to cleanse it. It had been found in the side yard of a friend’s house when he was doing some digging. He sent it to me because he knew that I loved working with animal spirits and that it would be treated with respect. As I opened the door and welcomed in the directions, the elements, my guides, the Lord and Lady…a spitting of rain began working its way through the woods. 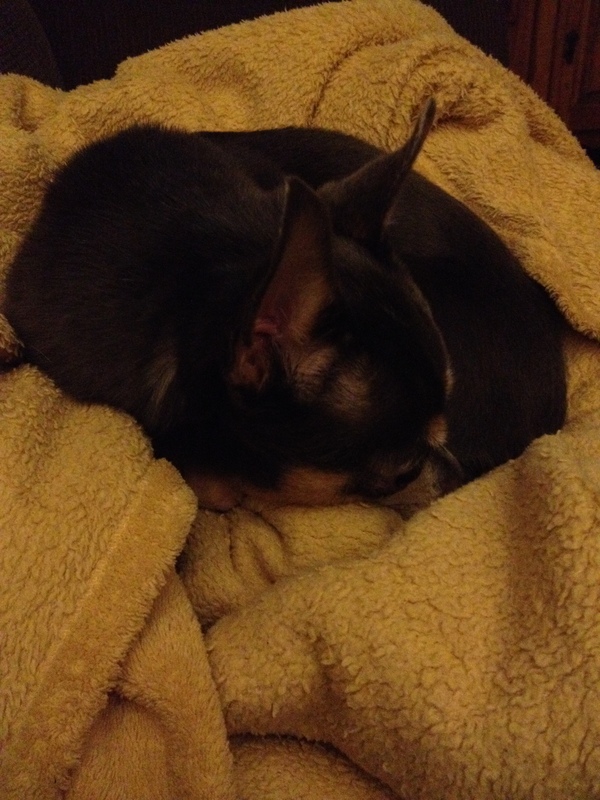 I brought my cloak over my face and set Friz in my lap and covered him. I was surprised that the candles stayed lit. 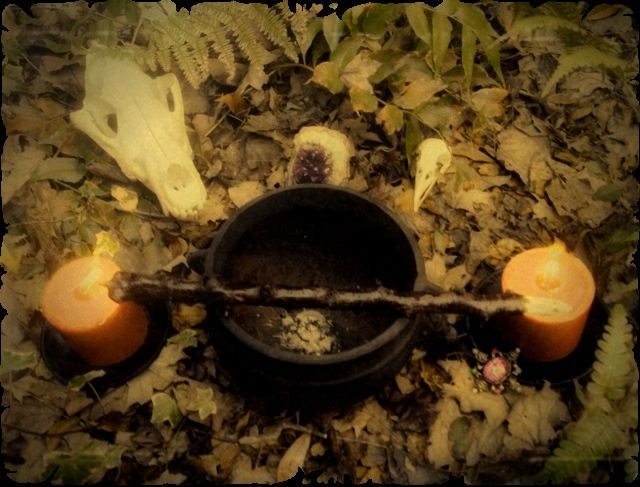 I moved the smoking Palo Santo stick around the cat skull offering prayers for the spirit of the animal….that, if it was tormented in life or had a harsh death, it’s spirit would peacefully cross over into the summerlands. I closed my eyes, the smell of the burning incense wood wafting through my nostrils, and I waited. I waited for nature to speak to me. I waited for someone or something to come find me and lead me back onto my familiar and comfortable path. I listened. In those next moments, I heard a familiar old cackle. I looked above me and there perched Mama Crow. She was comfortable. There seemed to be no distress or rush for her to move. I took my cue from her. I continued to cleanse the cat skull. I place her carefully between wolf and crow. I thanked the directions and elements. I blew out the candles and packed everything carefully away. I stood and watched as Mama Crow flew from tree to tree….Listen to nature…hmmm. I followed her direction. It was not a way I was familiar with. I looked up and saw that the trees were thinning. I was coming upon the edge of the woods. Where did I end up? How far out of my way did I go? I laughed out loud as I realized that I had come in behind the condo complex….actually even closer to home. I had not traveled the wrong path at all….just one not so familiar…but one that brought me even closer to where I needed to be all along. I remember a phrase my grandma used to use quite a bit. “He went around his elbow to get to his nose.” This morning I realized that sometimes you need to take that longer path. Wisdom and understanding may just be waiting for you on that path. Growing up, I was such a skittish child. Everything that you could think of scared me. I was scared of the dark…I was scared of unknown places…I was scared of pretty much everything that I love and embrace now. This week, I stepped into a place that I haven’t been in a long, long while. I stepped into my darker self. That place where all the things that I don’t like about myself reside. 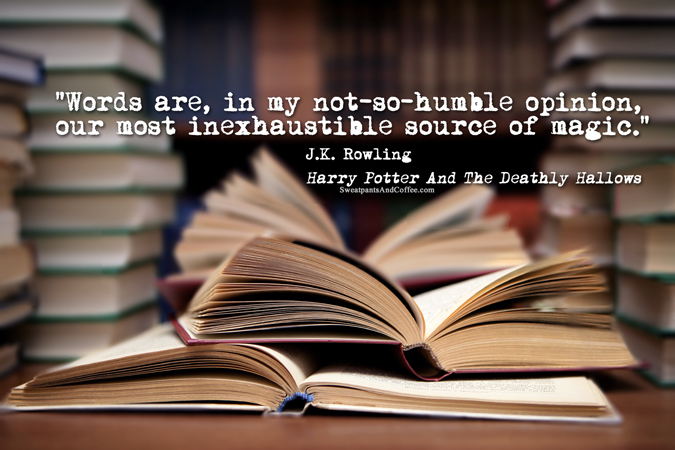 It is a place much like the pensieve that Dumbledore has in his office in the movie, “Harry Potter and the Goblet of Fire.” It is that place where I put the thoughts and feelings that tend to crowd my mind…the things that ‘don’t fit’ what everyone expects me to be. That is where most of my anger and hurt and confusion and melancholy go. After all, witchcraft is all about love and light, right? I have found that witchcraft in many ways is exactly like the churches I left behind so many years ago. We have tried so hard to keep from being a ‘traditional’ religion, that we adopt all of the practices and symptoms. We are so embracing, but we are the first to ridicule Christian holidays and the meanings that they have placed behind them. Unfortunately, that move from tradition means that we expect everything around us to sparkle and gleam…..clean of all the sediment that life can throw at us. The fact that a lot of this week was overcast and drizzly may have contributed to my ‘darker’ side coming to surface. 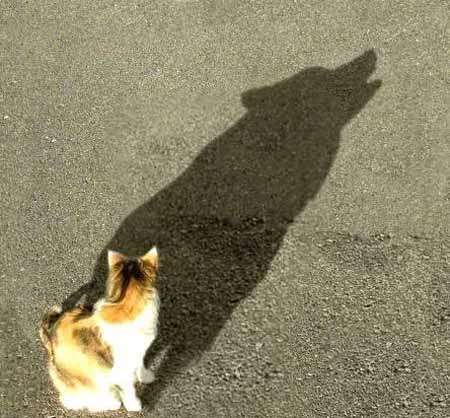 In describing what I have felt, I like the term that I heard a friend use a few years ago…he described it as his “shadow self.” In looking at it, that is a more accurate description. It isn’t dark or evil, it is just that part of myself that I am not completely comfortable sharing or seeing. It is that part of us that is hidden away until it becomes too restless to hide anymore. It is that annoying relative that comes bursting through the door during holidays who doesn’t really fit the family dynamic. The fear of the ‘shadow self’ comes from being afraid that we will see who we really are…or a part of us we never wanted to see to begin with. It is in these moments that I must access the Morrigan. It is in those moments, more than any, that I need the strength for the journey…that need for change. 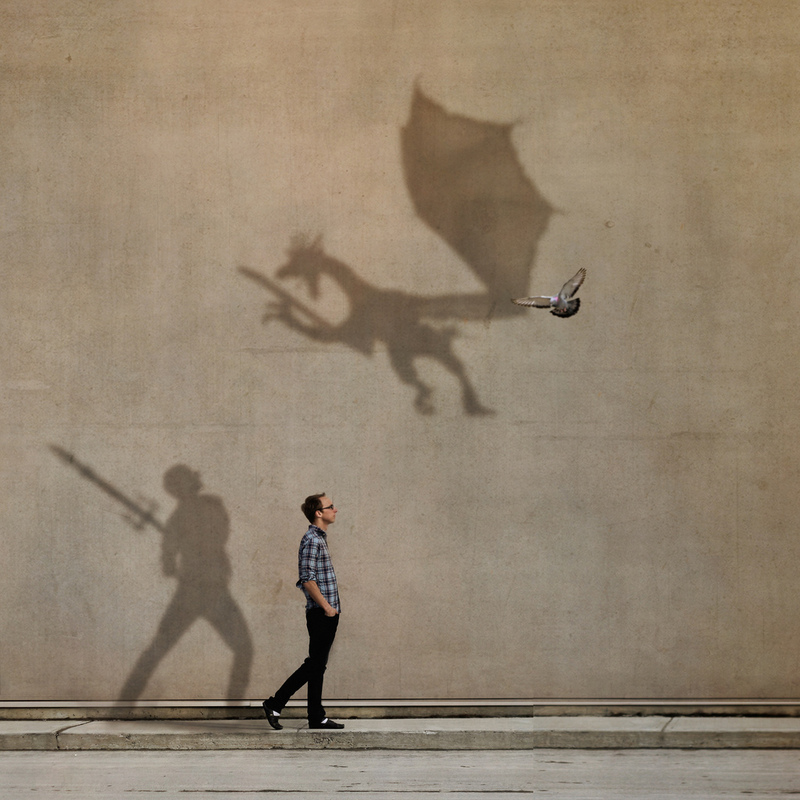 It is in those moments that I have to remember that the shadows aren’t bad or evil….the shadows are just those parts of me that I have become uncomfortable with…that don’t fit with my everyday life. It is in those times that I go into myself. It is in those times that I have learned to access the shadows to create…to make the tools for the Craft that I need and that I feel others may need. It seems that in those moments, I hear wolf clearer than any of my spirit guides. 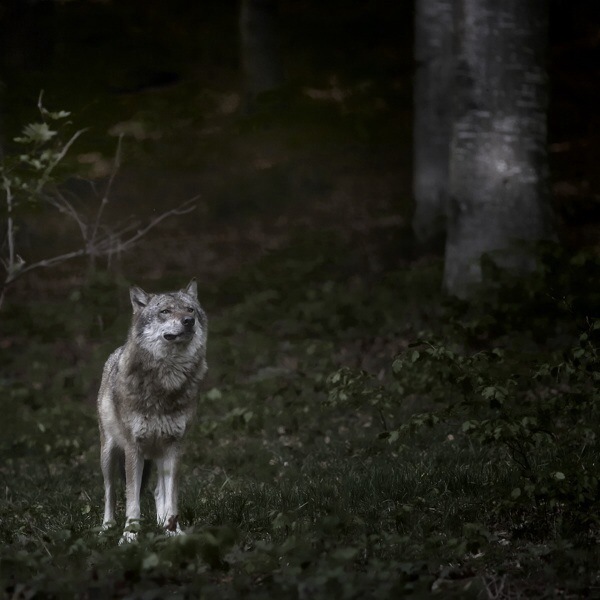 I hear his low howl moving higher….addressing that brooding, melancholy part of my spirit. It is also in these times that things come to me when needed. I have a friend who constantly forages the woods around her. 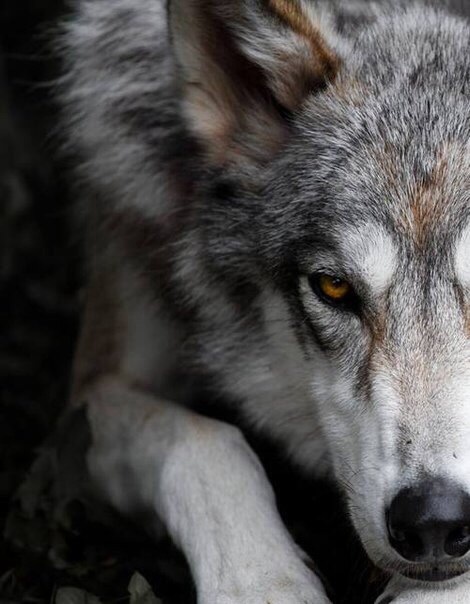 She constantly finds animal bones and parts…..and she knows that I call on those spirits, so anytime she finds anything related to wolf, she sends it to me. I bless the bones or fur just in case the animal met with a violent end…sending it peacefully into the summerlands. I have been wanting an athame for a long, long time, but could never find one that suited me. 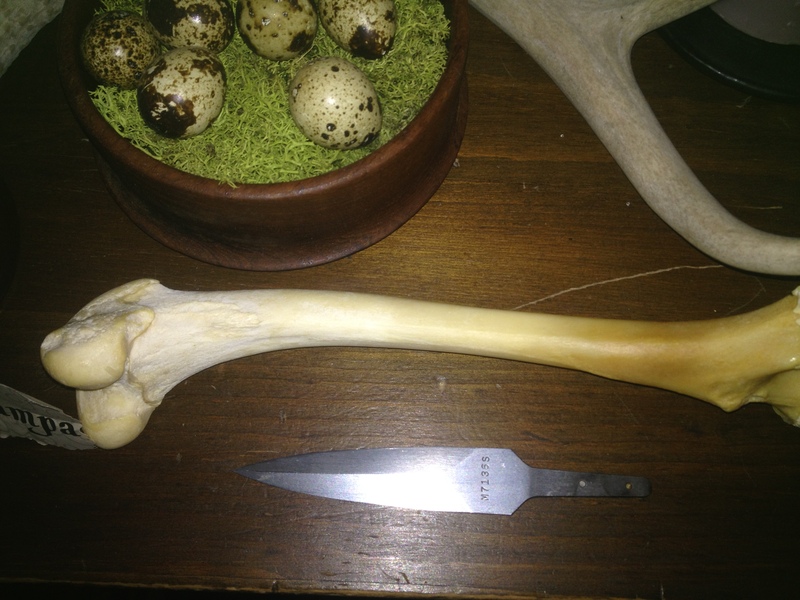 Last week in the mail, I received two beautiful wolf femurs and some fur. I have decided to use these to make my own athame. She also sent me the toe bones. I will use those to create runes. It is honoring the dead animal and pulling on that energy that I have felt all last week, plus it is becoming a tool for the Craft that I love so much. As I walked to the woods this morning, I could hear Mama Crow behind me. I have learned that where one goes, the other always follows. Friz has gotten used to her. Her loud caws don’t even rattle him anymore. 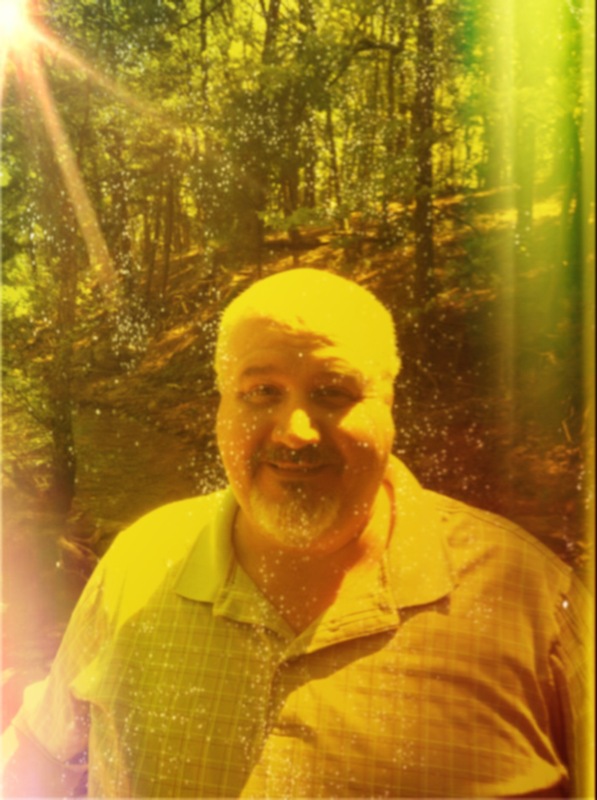 As we got closer to the woods, I have to admit that a part of me looked around to see if the Green Wizard had shown up, but there was another part of me that knew we would not see each other today. I settled into the damp shaded area of the woods that I always went to. I could smell the wet, mildewed and rotting smell of leaves left from the fall. I settled in and pulled the skulls from my backpack along with candles and herbs and stones. 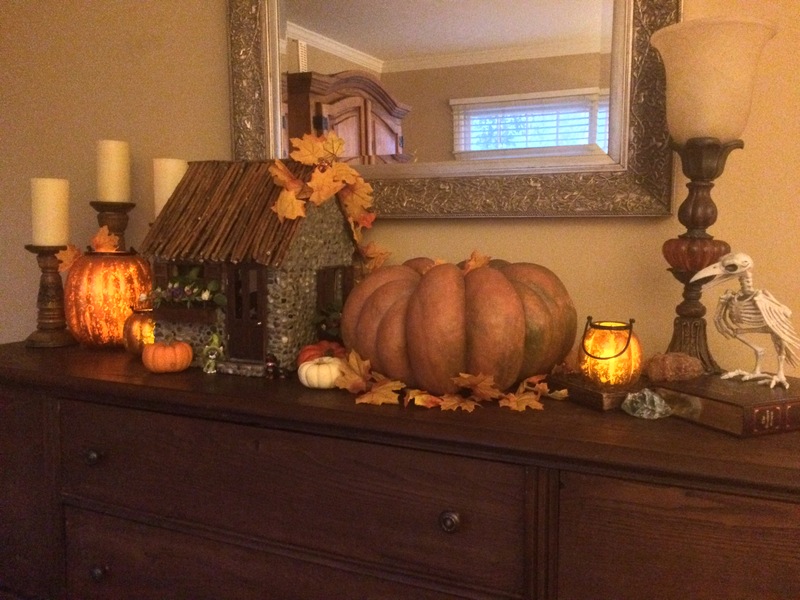 As I lit the candles and welcomed the elements and spirits, I could feel my shadow self lurking behind me….always pacing at the edges of everything…never fully becoming a part. I invited that part of myself into the circle. It was in that moment that I was overtaken with every emotion it represented. Instead of fighting to confine that piece of me….the darker parts of me, I found that those parts were just as powerful and just as necessary as the ‘love and light’ part of me. I found that just as with intention, that it is all in the direction….it is all in the movement and force that you give your shadow self. I won’t allow that part of me to rule me, but it isn’t fair to try and put it away so I don’t have to deal with it either. It can actually be a valuable asset in energy work and other magick. Power/Magick/Energy is only dangerous when the heart of the user is not seeking the betterment of those things around him or her. I had a dream Friday night. In that dream, my whole family shared a large Victorian house. The house was an ancestral home. In the dream, my mom and aunt were witches too. We were guarding the home against some force. I had taken Friz (the chihuahua) and Bella (the dachshund) and the cats, along with Bella’s puppies (she is spayed) into a room, and magickally sealed the room with a protective charm. My aunt put all the family (including my partner) into a room and sealed it with a protective ice spell. My aunt, my mom and me were the only ones left to guard the house. We had a tower of green ancestral candles in the main room. Ma sat on the sofa, my aunt was by the fireplace and I was by the door. A tornado-like force came at the house. It was my grandma (who is dead) flying in through the fireplace. She told us that we needed to be prepared, strong and ready to fight for all that we knew was true. Ma summoned all the fae around the house and told them to go outside and stand guard. We all took our stations and with hands raised, we pushed and shielded against something akin to a hurricane. I remember vividly feeling the sweat form on my forehead. As we pushed forward we could feel the force weaken. We gave one final push and felt the force break. We looked around and could see that we were all disheveled, but knew that victory had been won. Victory is always ahead…..it is in accessing every part of ourselves and knowing to continue to push. This has been a full weekend. 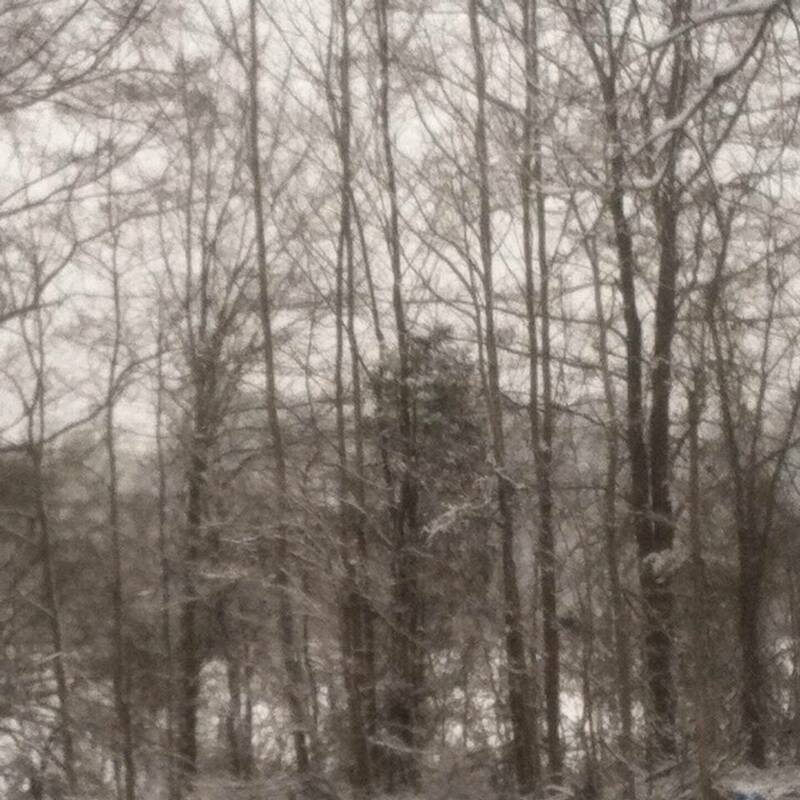 All Last week, I was confined to my desk at home because of a snow and ice storm. We got mostly ice here. It was definitely an adventure every time I would take the dogs out to pee. You see, I am not particularly graceful when it comes to winter weather….that is why I live in the south. Even with the addition of Yaktrax (a gripping system that attaches to your shoes), I am still not graceful when winter weather hits. It doesn’t come from not being cautious…I move around like one of the hippos from Disney’s “Fantasia.” I elected to stay inside by the heater. I only fell once…the chihuahua always thinks I am playing and takes the opportunity to play trampoline on my more-than-bouncy belly that is pointed up in the air. By the end of the week, cabin fever had set in and I was begging the elements to please give me weather that I could go out and explore in. Yesterday, Saturday, was spent running errands and getting everything accomplished that I couldn’t do during the week. It was also the day to take care of the animals regular needs….brushing, nail trims, baths…..all that wonderful stuff they hate and react to like a scene from “The Exorcist. I am sure that because of the screams and screeches that come from the courtyard, our neighbors are sure we abuse them….needless to say, this is before they are even touched with the nail clippers. I really do wish that there was a way to accomplish this magickally. It’s always such a battle…..and of course, I am pouted at for the rest of the day. My partner and I went out last night to celebrate Valentine’s Day at a local Italian restaurant. After a lovely meal of pasta, wine, and cannoli…we drove back to the condo and took a short walk around the complex with Mama Moon smiling down on us the whole time. I took this time to whisper blessings over us, our families and our friends. Mama Moon was shining so brightly that it felt as though she was smiling down over us. Before bed last night, I applied some flying ointment to my temples and let myself drift off to that place that stays hidden between sleep and awake. 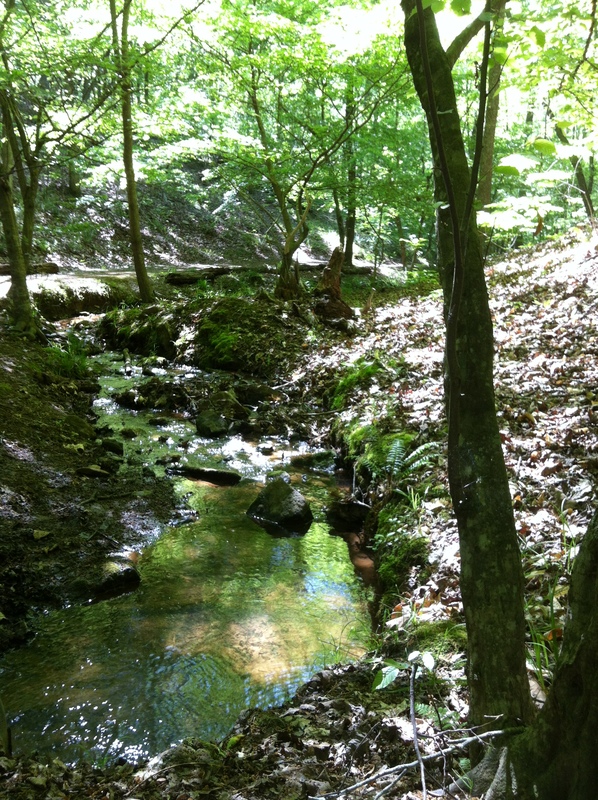 It is in that place that I was treated to a vision of a lush green forest. In that forest were Wolf and Crow. They were in a playful mood. I watched and laughed as they played chase. I sat down on the closest stump and watched as little sparkles of light glimmered around me. I opened my arms and absorbed that energy. I woke up this morning feeling like I had played and romped and ran all night long….but by now Friz had forgiven me for the travesties of yesterday and he was ready for a trek to the woods. As we walked, I looked up because I heard a sound that isn’t a regular one among our winged friends here in the condo complex. I knew the sound….I had heard it plenty coming from the fields back home growing up. It was the sound of a hawk hunting for its morning meal. That sound of ‘screeee, screeee’ is unmistakable. I have heard way too many stories of small dogs being the target of the birds, so I picked up Friz and hid him under my cloak. It was only moments later that I heard an even more familiar sound. It was the sound of the crow…..but this sound came in symphony….not just one crow. 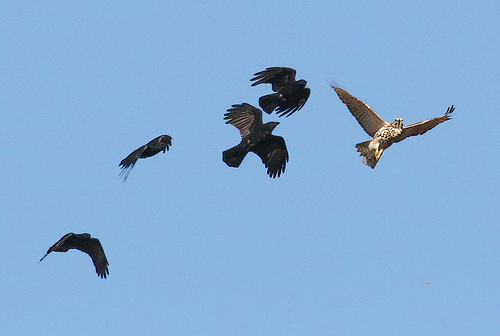 I looked up and saw many many crows criss-crossing in front of the hawk. They weren’t making happy sounds…more of an aggravated announcement that the intruder was not welcome. 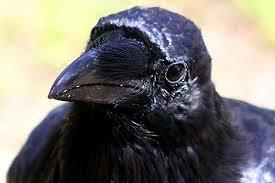 All I have to say is that Friz better be glad that Mama Crow has got his back. I remember from the teachings of my grandmother that crows are the messenger from the spiritual realm and that Crow is the guardian of magick and that Wolf is the teacher of the magick (or medicine). As I walked toward the woods, I could feel something stirring inside of me. It is that feeling that you have when you don’t really know whether to laugh or to cry. It is neither a bad or a good feeling, but a feeling where you feel like you are at an in-between place. As I sit down in the leaf strewn floor of the woods and place everything in its place on my earth-made altar, I am overtaken with feelings as I hold the skulls of Wolf and Crow and place them on top of the leaves. My mind unites with my spirit and I am transported to that place between sleep and awake again. I see Crow and Wolf play-chasing and dancing through that glimmering forest. It becomes evident to me that the glimmering light is the magick which Crow has brought to me. Sitting there with my arms outspread was me absorbing that magick which was taught and embedded into my spirit by Wolf. As I sit there with my eyes closed, I reach out my hand. It is as if I can cup it and feel the magick filling it. I feel the warmth of that magick as it radiates against my cheek. As I sit there in the midst of the vision of magick, I feel the warmth of springtime radiating through me. Though the air was brisk, this morning…there was a warmth surrounding me that welled up from the earth to my body. In what seemed like one big raw emotion, I felt joy and hope and fear and anger. I felt fear….that what we may doing to the Earth Mother may be irreparable. I felt anger….that we had stripped her and raped her and left parts of her exposed and dying. I felt hope….knowing that she has lasted longer than any human…that she was constantly changing and adapting and creating. I felt joy….that she is thriving, moving, breathing, and that she is more knowledgeable and magickal than anything we could ever hope for. I called to Crow and Wolf. I asked Mama Crow, if she saw me worthy, to continue to bring the magick to me….to continue to change me. I asked Wolf to continue to teach me…show me how I may affect change around me. In that moment, quiet overtook those woods. I listened closely and once again, I could hear a beat. This time it wasn’t just the heartbeat of the Earth Mother alone…but mine alongside hers…beating in harmony.